The TSS Front Door Combo consists of a TSS British Standard BS3621:2007 5 lever mortice deadlock and Modern Deadlocking Nightlatch. 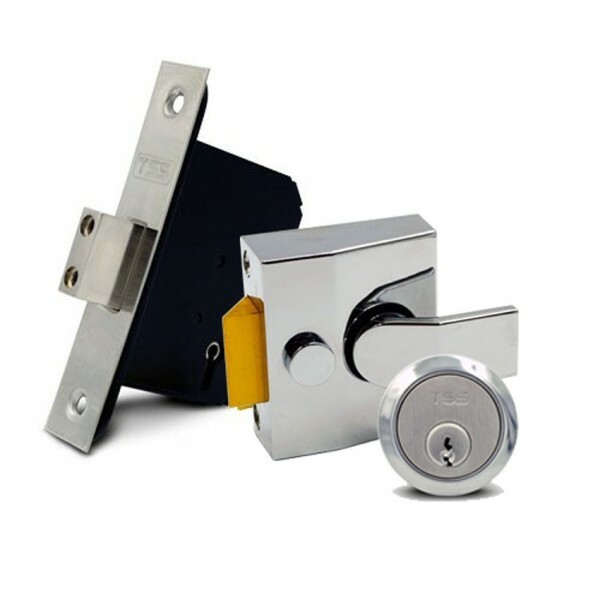 This kit consists of a narrow nightlatch and narrow mortice deadlock so is suitable for timber doors with a narrow stile such as doors with glass panels. The TSS British Standard BS3621:2007 5 lever mortice deadlock: Features an Anti-Drill hardened plate, which makes it robust and provides additional protection against attack. The deadbolt features hardened anti-saw rollers to provide a higher level of security. 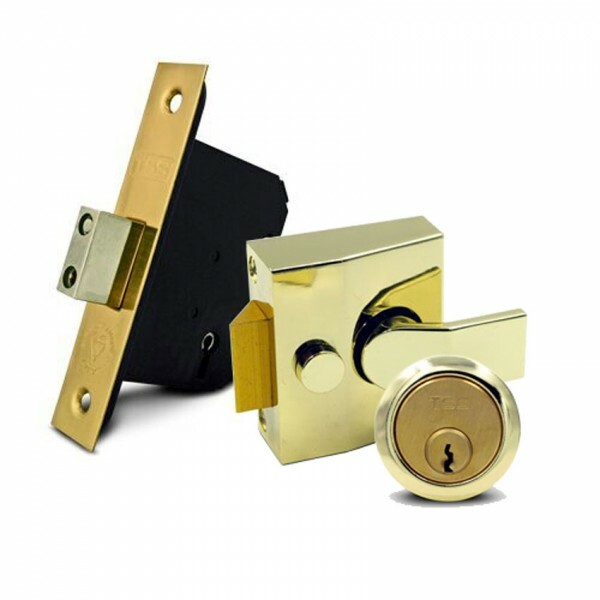 Supplied with 3 keys and two keyhole escutcheons. Modern Deadlocking Nightlatch: Features key operation from the outside, and lever handle operation from the inside. Deadlock by reverse turn of the key in outside cylinder. Both the key and handle are deadlocked. Snib function can hold the latch in locked or withdrawn position. Supplied with 3 keys.